Being cost effective and resistant to corrosion, polyvinyl chloride (PVC) is widely used in the construction and building industry. As per the latest PVC market report, the demand for PVC is expected to grow at a CAGR of 4.8 percent till the year 2022 and reach the total valuation of $46.6 billion. There will be relatively moderate growth in the consumer segment as well. The rise in demand for consumer electronics is the main growth driver of the PVC market. Due to safety concerns, PVC demand in North America and Western Europe is expected to witness a decline. The gap between supply and demand is also expected to decrease due to increased supply from Asian countries. Polyvinyl chloride commonly known as PVC, is a thermoplastic polymer which is most commonly used in construction, electronics, and various other applications. It is white colored plastic and is very brittle in nature. Two general forms in which PVC is produced are a rigid polymer and flexible polymer. Flexible PVC polymer is softer and is used in construction for the insulation of electric wires or in the flooring of residential as well as commercial establishments. Rigid PVC is used in the manufacturing of pipes for plumbing and construction. PVC is used in various sectors because of its properties such as relatively low price, resistance to environmental degradation, hardness, and outstanding tensile strength. The growth in the construction and infrastructure market are the main reasons for the rise in demand for PVC in Asia. The demand remaining strong is also as a result of its various properties including cost-effectiveness, durability, and resistance to chemical corrosion. The growth in demand for unplasticized PVC is expected to increase due to its use in painted wood in window frames and sills. Compared to leather and rubber, PVC is cost-effective and water resistant which makes it valuable in various consumer applications including furniture, sportswear, clothing, and footwear. The electrical and electronics industry along with an increase in disposable income in countries such as China, Brazil and India is also a driver of the increase in demand for PVC. The global demand for PVC is expected to grow at an average rate of 3.7 percent until 2022. PVC has various applications in the construction industry including pipes, floor, cables, fencing, and landfill liners. It is widely used in the manufacturing of electrical wires and cables because of its superior insulation properties. It is also used in various other consumer applications including toys, interior cladding, and ceiling tiles. Over the next few years, the demand is expected to be driven by consumer applications as well as in the electrical and electronics sector. The application of PVC is also widely spread in drain waste vents, water mains, irrigation, conduit, water service lines, and sewers. PVC is also widely used in the automotive and packaging sector. The rigid form PVC finds its applications in the manufacturing of pipes, plastic bottles, windows, and doors. The flexible PVC is used in the insulation of electrical cables, signages, and in imitation leather. The use of PVC in construction is expected to grow with an increase in demand for infrastructure in developing countries like India and China. It is widely used in infrastructure projects in pipes, tanks, fittings, wires, windows, sheets, films etc. In emerging regions such as Asia Pacific, Latin America, and the Middle East, the construction activities are increasing with the rise in demand for better infrastructure, rapid industrialization, and urbanization. 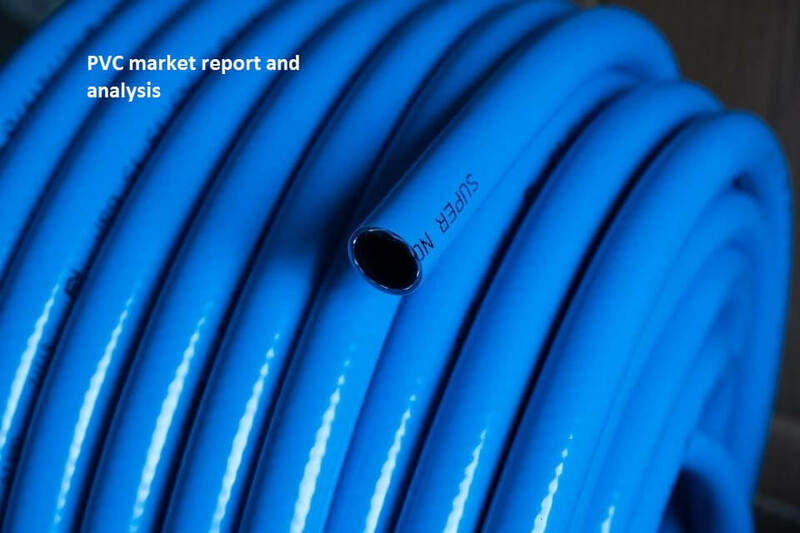 The growth rate of the PVC market is expected to be negligible in North America and Europe as the demand for infrastructure has reached its saturation point. However, demand for polyvinyl chloride in North America and Europe is steady and high in the electrical and electronics sector. The demand is further expected to be driven by growing electrical and electronics industry in Asia Pacific countries including India, Taiwan, China, Indonesia, and the Philippines. The growing packaging industry in India and China is also a driver of the PVC market in the region. In regions like Brazil and South Africa, the manufacturers will have ample opportunities in the packaging sector. The growth will be due to the increase in demand for packaged food items in food as well as non-food industries or sectors. With growing trade, the Asia Pacific region is expected to generate the highest growth, especially in Southeast Asian countries for the PVC market. In Europe, the demand will increase in countries like Russia and Turkey with an increase in construction activities. Top companies are accounting for maximum shares resulting in the polyvinyl chloride industry being highly competitive. With the rising urban population, steady supply, and low prices, the market for PVC is expected to stay strong and may even register higher growth in the coming years.